I’m not an Apple fan. All the less so for the limitations of OS X for handling high definition digital audio. And trust me, if there’s a way to screw up your audio quality, iTunes will find it. So I’m also not a fan of claimed audiophile software that uses iTunes as the user interface. And native DSD playback isn’t possible with such iTunes-structured programs, that are PCM based. If the volume control in iTunes changes the volume on your system, you’ve been PCMed (Why audiophiles don’t get to have a remote control…). First off processing power is virtually irrelevant to sound quality. Anything in the last few years is plenty. Why?… Remember, this is a dedicated computer so you are only running your high definition audio software on it, right? This software uses less than 10% of the processing power any relatively new Mac Mini offers. Second, RAM could make a difference depending on your hard drives. The most demanding requirements will be playing 5.6 MHz DSD files and 392 KHz/24 bit PCM files. You may run into occasional buffering issues with these files, but it’s not insidious to sound quality, more glitchy in nature. In other words, you won’t hear a sonic difference due to insufficient RAM, but if a song suddenly stops playing then catches up, you need more RAM to buffer your files. Third, your power supply doesn’t make a hill of beans of difference to sound quality. Sonic benefits claimed my the vendors of upgraded power supplies are borderline fraudulent. 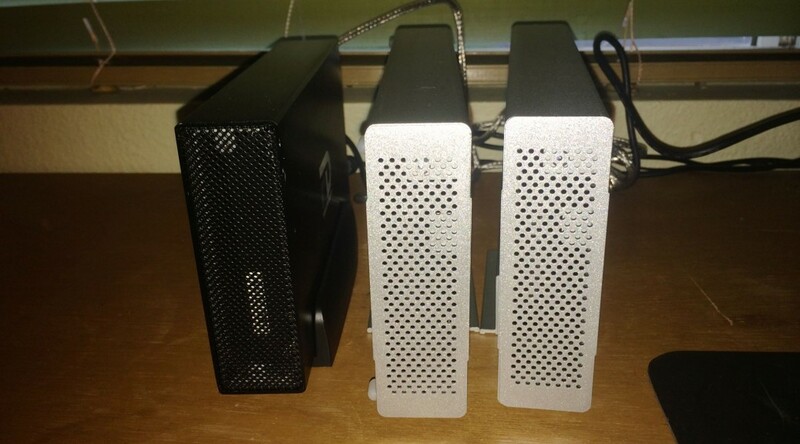 It doesn’t require a physics degree to grasp this, but if you have one you will immediately realize that the vendors selling upgraded power supplies for the Mac Mini to improve sound quality are claiming to defy the most basic laws of physics. I’m all about high quality power supplies in amplification circuits, but EMI (electromagnetic induction) simply doesn’t effect the sound quality of digital circuitry. If it’s “bit-perfect” than the job is done and it ends there. And all the Mac Mini is responsible for is digital file delivery… you’ve got an external DAC, right? Fourth, hard drives can make a difference, especially for music with soft passages. Go fan-less! (What are the best external hard drives for a music server?) Which unfortunately precludes all NAS (Network Attached Storage) devices. I have yet to find one without a fan. And, ethernet is a noisy, high-traffic, and relatively slow cabling solution anyway. Noisy to the point where it can effect that “bit perfect” pass-off you’re looking for. Which brings to mind the fifth requirement, a USB DAC. 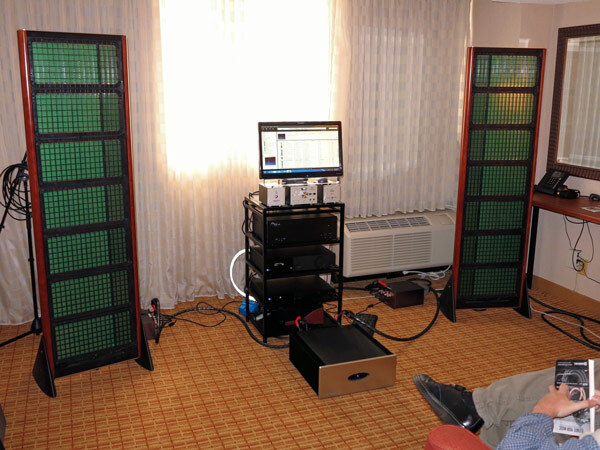 Not toslink or digital coax, both of which are the legacy of Home Theatre audio. 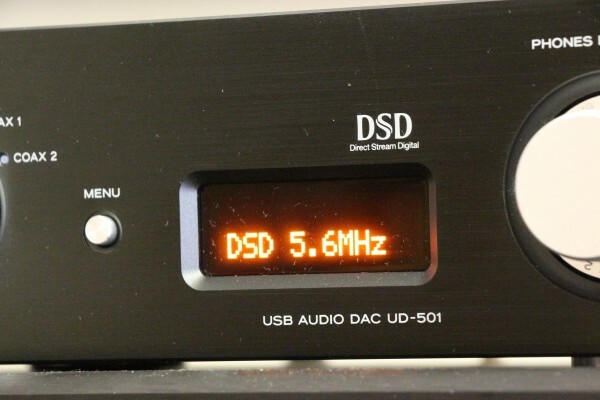 And… if you have a USB DAC, you may want to keep your hard drives off the USB bus as it will already have it’s hands full if playing 5.6 MHz DSD or 392 KHz/24 bit PCM files. So put your external drives on the Mac Mini’s Firewire 800 bus, which is latent anyway if your Mac Mini is a dedicated music server. You could also use Thunderbolt but I see no benefit over Firewire 800 and two possible detriments, the first being high cost and the second being the possibility of having to share it with a monitor. Speaking of monitors, the video circuitry in your Mac Mini won’t effect sound quality at all. This is very different from an SACD player that has video circuitry in it, where the SACD player is performing the DAC (digital to analog) conversion internally and therefore has analog circuitry that can in fact be effected by video circuitry and therefore the possibility of sonic degradation exists. Having said that, why not use screen sharing from your laptop in your listening chair and not have a video monitor hooked up at all, then you have the ultimate remote control! (still no volume control for native DSD playback however). Or if you’re using JRiver for your music server software you can use the very capable JRemote iPad app. I’m not going to point any fingers here, but I will say there are a few vendors selling “upgraded” Mac Minis in excess of $10k. Don’t go there, stick to the the basics and spend all that cash saved on good quality music! What are the best external hard drives for a music server?